Two-color 32 pp. 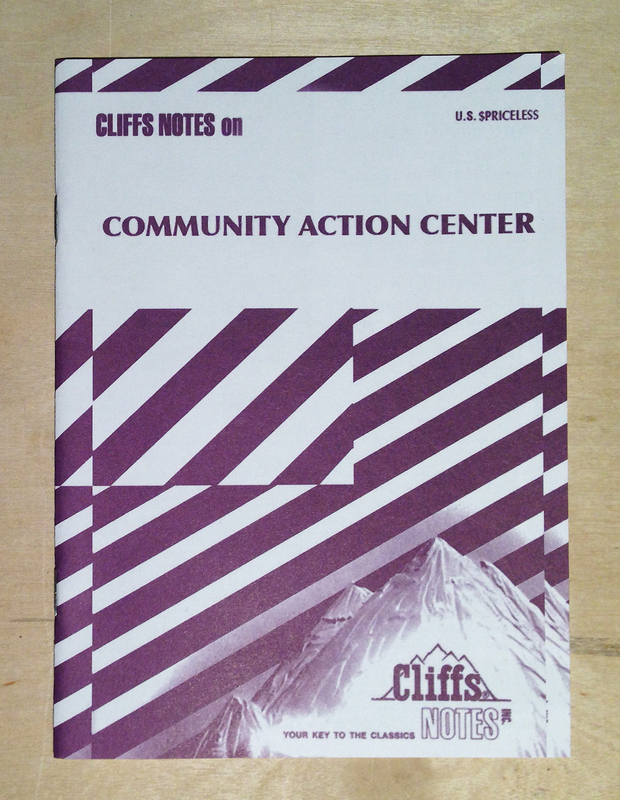 zine, printed in conjunction with the release of the feature-film Community Action Center, essay by Litia Perta, edited and designed by A.K. Burns + A.L. Steiner. Download free pdf here, or available through Printed Matter.